The Student Assessment Inventory for School Districts is a tool district leaders can use to take stock of their assessments and assessment strategy, and do so from a student perspective. Across the country, educators, parents and students are saying that there is too much testing in our schools and that testing is taking valuable time away from teaching and learning. These concerns are legitimate and merit attention. School district officials have the opportunity to respond to concerns about over-testing by leading a conversation among educators and the broader community that directly addresses the amount of testing – and points the way toward a more coherent, educationally-sound approach to assessment. The tool supports a process by which districts evaluate the assessments students are taking, determine the minimum testing necessary to serve essential diagnostic, instructional and accountability purposes, and work to ensure that every district-mandated test is of high quality, is providing the information needed for specific school and district purposes, and is supported by structures and routines so that assessment results are actually used and action steps taken that will help students. Achieve expresses its sincere gratitude to the many state and district leaders who have contributed their suggestions and feedback during the development of the assessment inventory. In particular, we thank the leaders of the Connecticut State Department of Education and leaders from eight Connecticut school districts that piloted use of the assessment inventory and provided substantial feedback. How can I train others to use the tool? Training Materials - To guide district leaders who are leading or considering an assessment inventory in their districts, Achieve has created training materials (including ready-to-use PowerPoint slides) around Setting the Context, Inventory Planning, Stakeholder Mapping, Communications and Messaging, and Assessment Inventory Scenarios. How should I engage with teachers, parents, and students and incorporate their voices into the process? How do we address concerns about testing for diverse learners? 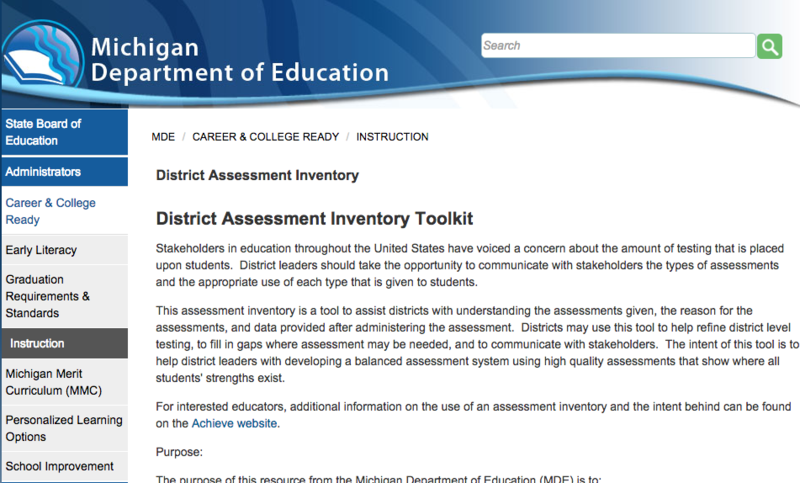 How have districts used the Assessment Inventory Tool? Since its launch in 2014, the tool has been used by over 100 districts to evaluate their assessment strategy and ensure that only the best and most useful tests are used, impacting over [1 million] students. How have states used the Assessment Inventory Tool already? Several states have adapted Achieve's assessment inventory and supported districts in examining local assessment systems. 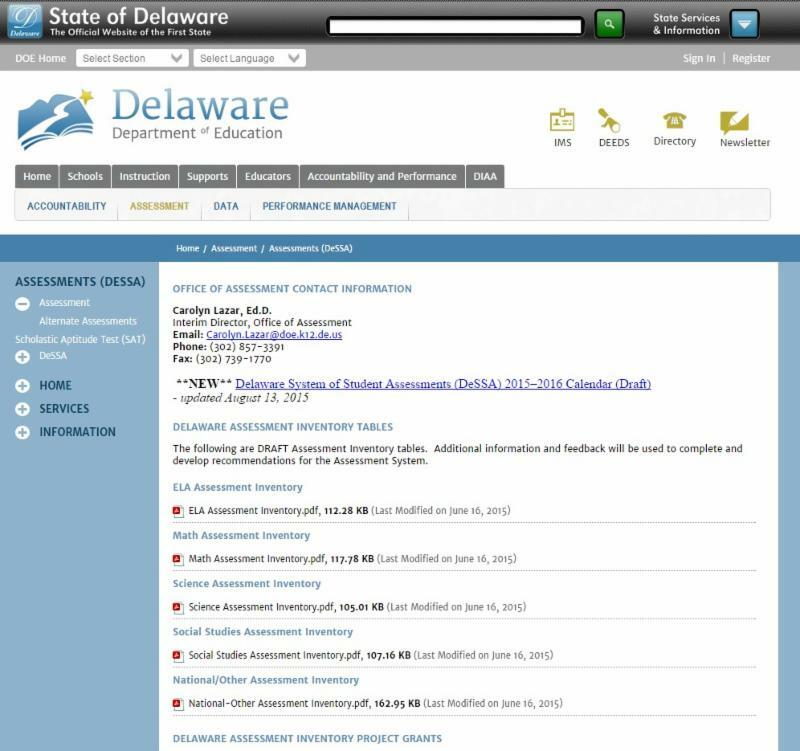 For example, the Delaware Department of Education is providing grants to all districts in the state to complete Achieve's assessment inventory process by the end of 2015. The state is also using the tool to analyze all state assessments, and posted their state assessment inventories on their website. The Connecticut State Department of Education provided approximately 50 grants to districts to engage in an assessment inventory process by summer 2015. 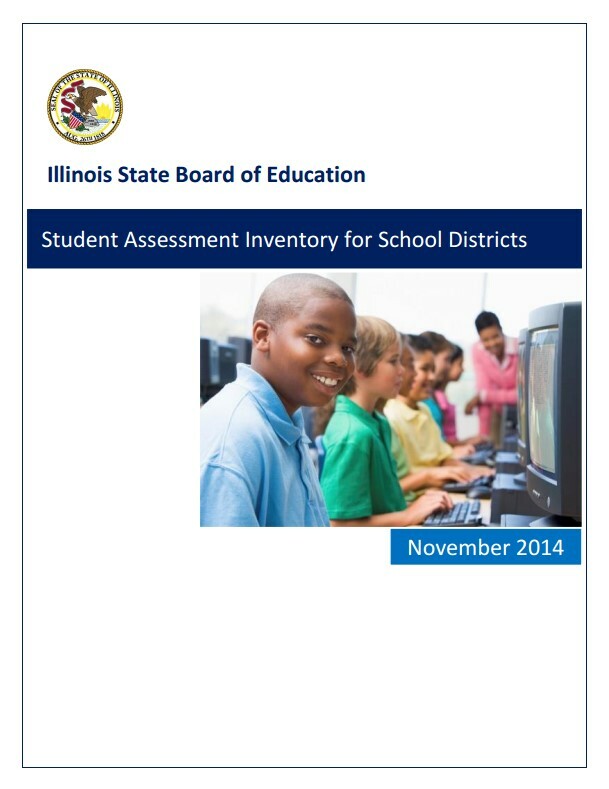 The Illinois State Board of Education adapted the assessment inventory and provided assessment inventory training materials, and developed modules on assessment literacy. 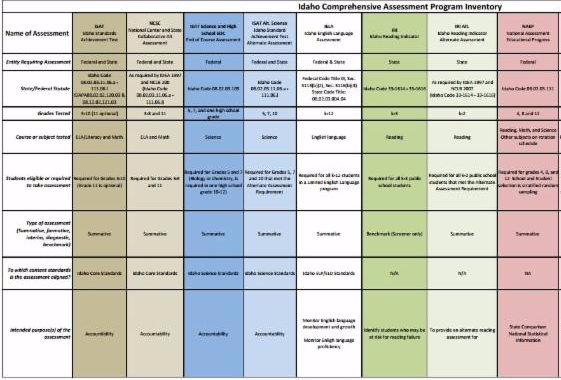 The Michigan Department of Education adapted the assessment inventory and included additional materials on creating a balanced assessment system and appropriate assessment use. The file is in writable PDF format. To save entries into the inventory, users will need to download Adobe Reader XI (free). It is very important that you use this latest version for functionality purposes. The assessment inventory is openly licensed under CC BY 4.0. As such, districts are free to use and modify. If modified, please attribute Achieve and re-title.